At the recent Academy Awards, the thrilling victory of the underground gem Birdman: Or (The Unexpected Virtue of Ignorance) as Best Picture over the large-production blockbuster film American Sniper was yet another testament to the power of independent films. On stage to help accept the award was Michael Keaton, an extremely talented performer who was nominated for Best Actor as the lead role in the film. The achievements of this film were not a surprise to annual patrons of the Sonoma International Film Festival; many of whom met Keaton when he was honored for his achievements at the film festival a few years ago. Same has been true for Robin Williams, Bruce Willis, Susan Sarandon, Danny Glover, Lauren Hutton, and a wide range of other talented actors participating at the festival over the past two decades. On March 25-29, the stars align again at SIFF with a special guest appearances by actor David Arquette; a screening of the directorial debut by Alan Rickman; a new indie film with Julia Louis-Dreyfus; opportunities to watch potential contenders for Oscar nominees in the special categories of Best Short Film, Best Foreign Film and Best Documentary; and much more! In addition to the focus on chefs, winemakers and swanky parties happening at the festival, the Feast It Forward team and I are getting ready to play a big role at this year’s festivities by having our Airstream next to the VIP, to do interviews and share wines and tasty bites with the talented actors, directors and producers on the rise who will be attending the magnificent four-day event in Sonoma. For more information about the line-up of films, parties and special events, visit http://www.sonomafilmfest.org/home/sonomafilmfest/pdf/2015/siff_guide_2015.pdf. And don’t forget what’s happening via Twitter at @SawyerSommelier @FeastItForward and @SonomaFilmFest. Directed by Wes Anderson, the main character in this comedy is Zero Moustafa (Ralph Fiennes), a peasant boy who began working at the prestigious hotel in 1932. Over the next four decades, Zero moves his way up the chain of command and eventually becomes the owner of the hotel by courting a series of wealthy older women. Along the way he encounters interactions with other unique characters played by a mixture of talent, that include Adrien Brody, F. Murray Abraham, Jude Law, Willem Dafoe, Bill Murray, Harvey Keitel, and Tilda Swinton. SawyerSomm Pairing: Lively, whimsical and quirky, The Grand Budapest Hotel sparkles with characters which are entertaining to follow onscreen. To match the graceful, playful, and romantic nature of the film, try the Gloria Ferrer NV Va de Vi, Sonoma County ($22), an elegant sparkling wine with attractive aromas of ripe fruits, citrus, and honey. The flavors are equally dazzling with notes of fresh melon, peach, crisp apple, Meyer lemon, and long thirst-quenching finish. An easy crowd pleaser made with 89% Pinot Noir, 8% Chardonnay and 3% Muscat. Classy and fun! www.gloriaferrer.com. 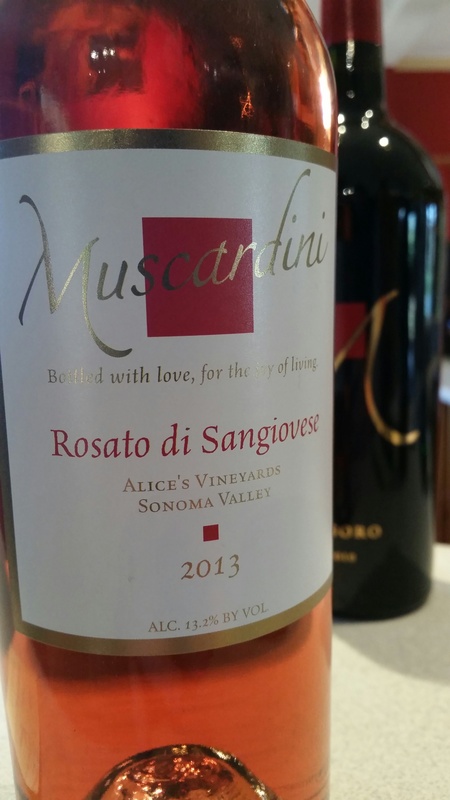 Bright & Lively: The Muscardini 2013 Rosato di Sangiovese pairs nicely with the Oscar nominee Boyhood and many of the films featured at the SonomaFilmFest 2015. Spread over a twelve year period, Boyhood follows the life of Mason (Ellar Coltrane), a spirited boy who literally grows up to be a young man in front of our eyes. Patricia Arquette, who won the Best Actress award for her role as Mason’s mother Olivia, does everything she can to hold herself, her son, and her daughter Samantha together while facing hard times. Ethan Hawke’s masterful performance as the father adds an enlightening perspective of what it’s like to try to help raise a child from the outside looking in. Of note: Patricia’s brother David Arquette will be in attendance at the SIFF 2015. SawyerSomm Pairing: To match with the youthful components of this film, try the Muscardini 2013 Rosato di Sangiovese, Alice’s Vineyard, Sonoma Valley ($20). This classy, dry, Italian-style wine with a pretty pink hue and alluring aromas of fresh rose petals, watermelon, ruby red grapefruit and red berries. On the palate, the wine explodes with notes of wild strawberry, raspberry, nectarine and cranberry, a burst of zippy acidity on the mid-palate, and a long dry finish. It’s worth noting that this wine won Double Gold at the SF Chronicle Wine Competition 2015 and the Best Show Rose at the Wine Channel TV International Wine Competition 2014. Lesson learned: Youthfulness does have its virtues. www.MuscardiniCellars.com. Based on the turbulent times of racial inequality in the 1960s, this film is focused on the rallying crusade and historic march led by Dr. Martin Luther King Jr. and other activists from the small town Selma to Montgomery, Alabama. Captured beautifully on the screen, this epic three-month journey led to the Civil Rights Act being signed by President Lyndon Johnson in 1965. SawyerSomm Pairing: Filled with courage, soul and sweetness, Selma is an ideal movie to watch while sipping the Gundlach Bundschu 2013 Dry Gewurztraminer, Estate Vineyard, Sonoma Valley ($22.50). Made with world-class fruit from the winery’s estate property in Vineberg, this classy new release features vibrant aromas and lively flavors of fresh citrus, grapefruit, nectarine, papaya, jasmine, coriander, ginger and mineral; a burst of bright acidity; and a long crisp, refreshing finish. In addition to providing you with a fresh perspective of what a classy Gewurztraminer tastes like; the wine pairs exceptionally well with spicy and tangy styles of southern cuisine like gumbo and fried chicken, as well as Vietnamese, Cantonese, Spanish and Indian cuisine. www.gunbun.com. 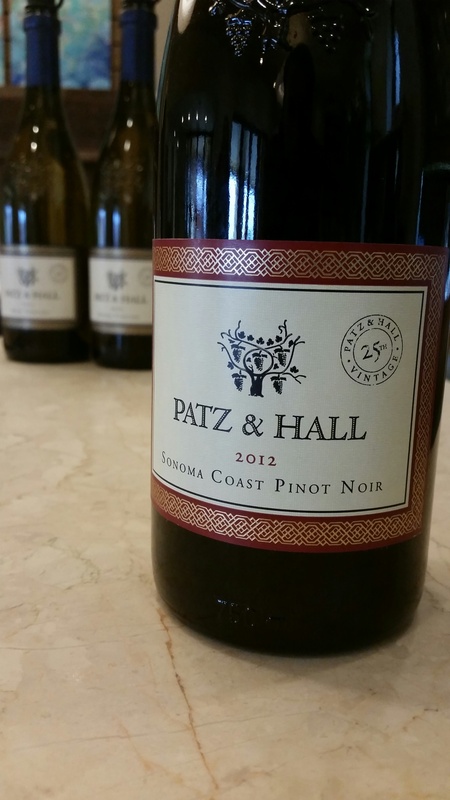 The Patz & Hall 2014 Sonoma Coast Pinot Noir, one of the brilliant wines featured at the upcoming SIFF 2015. At the ripe age of 19-years old, aspiring drummer Andrew Neiman follows his passion for music to the highly touted Shaffer Conservatory of Music. But his ambitions meet conflict when his high-energy jazz teacher Terence Fletcher (played by J.K. Simmons, who won the Oscar for Best Supporting Actor) uses techniques of fear and intimidation to get his point across.SawyerSomm Pairing: To match the combination of high-energy, power and finesse of the film, try the Patz & Hall 2012 Pinot Noir, Sonoma Coast ($46). Like the synergy of a tight band in motion, this impressive Pinot Noir is made with a mixture of clones grown at special sites near the Pacific Ocean. The end result is an expressive wine with persistent aromas of fresh red fruits, wild herbs, smoked meats, earth, and spice. On the palate, the flavors expand with explosive notes of wild strawberry, raspberry, ripe cherry, dark plum, mineral, and allspice. With a silky texture, firm tannins, a burst a fresh acidity and a memorable finish; it’s a wine that peeks your interest and doesn’t let go until the bottle is finished. www.patzhall.com. If you’ve never heard of computer pioneer Alan Turing, you’re not alone. While working for Britain’s top-secret Government Code and Cipher School during World War II, Turing created the world’s first legitimate computer that was able to break the famous Enigma encryption code used by the German army. Surrounded by a crew of other intellectuals, Turing used this powerful tool to save an estimated 2 to 3 million lives and helped stop the war two years early. The film features a terrific cast with Benedict Cumberbatch in the lead, and Keira Knightley, Mathew Goode, Mark Strong, Charles Dance and Allen Leech (the chauffer in Downton Abbey) as his associates. Beyond exploring his accomplishments with science and computers, the film also looks into the darker side of Turing’s personal life, which was heavily influenced by a turbulent period as a teen and his post-war conviction for a now outdated criminal offense. As a result, he died at an early age and was not honored by the government for his services until 2013. (Note: SawyerSomm saw this film at the Napa Valley Film Festival in November 2014). SawyerSomm Pairing: Although its impact isn’t nearly as great as Turing’s invention of the computer; a lesser known grape of great importance is Pinot Meunier, a fairly obscure red variety planted primarily in the Champagne region of France. Known for its deep flavors and ability to grow in wetter conditions, the varietal is often blended with Pinot Noir and Chardonnay to make some of the world’s finest Champagnes but rarely bottled separately. In the United States, an exception to the rule is the Domaine Chandon 2012 Pinot Meunier, Carneros ($35), an elegant wine with lively aromas of red fruits, cinnamon, nutmeg, and earth. On the palate, the flavors expand with notes of dark plum, cherry, pomegranate, wild mushroom, black tea and clove. Great with fine cheeses, grilled winter vegetables, fresh salmon, pork chops, and roasted chicken. And like the film, it’s a secret worth investigating! www.domainechandon.com. In his Oscar-winning performance for Best Actor, Eddie Redmayne plays legendary British physicist Stephen Hawkings, who falls in love with fellow student Jane Wild while attending Cambridge in the 1960s. After being diagnosed with an incurable disease at the age of 21, Stephen marries Jane. And although his health gets worse, Stephen’s focus on science doesn’t falter. As a result, his theories of the origin of the universe, galaxies and the Black Hole would go on to make a lasting impact on the world. SawyerSomm Pairing: Hawking’s expansion of the theories of relativity has similarities to the wine industry. This is particularly true with the relationship between two unique red grape varieties: Syrah and Petite Sirah. The rich history of Syrah can be traced back thousands of years to near the city of Shiraz in Persia. Whereas, Petite Sirah—a hybrid of Syrah and a more obscure grape called Peloursin—was developed in France by Dr. Francois Durif in the 1880s. A tasty example of the fusion of these flavors is the Enkidu 2010 Humbaba, Sonoma & Lake Counties ($28), which contains 62% Syrah, 35% Petite Sirah and 3% of Rhone white varietals Roussanne, Marsanne, and Grenache Blanc. This Rhone-style blend features enchanting aromas and rich flavors of dark cherry, boysenberry, sarsaparilla, seasoned meats, black olive, white pepper, sage, rosemary, eucalyptus and cardamom. In short, it’s a great thinker’s wine and a pleasure to drink young or cellar for up to a decade. www.enkiduwines.com. Based on a true story of Navy Seals officer Chris Kyle, the most prolific sniper in American history with 160 confirmed kills; American Sniper explores the hardship of Chris’ life on the battlefield and upon returning home to his family in Texas, after his honorable discharge from the military. SawyerSomm Pairing: Due to the serious nature of the film, a wimpy wine will not cut it! Therefore, to match the intensity of Kyle, try the Highwayman 2012 Proprietary Red, Sonoma Valley ($48), a powerful reserve-style wine made by Highway 12 Winery. With enticing aromas of wild berry, dark cherry, fresh violets, cocoa, fine leather, cigar box and smoke, the wine immediately captures your attention. In the glass, the flavors continue to expand with deep notes of brambly blackberry, dark cherry, cassis, black currant, ripe plum, dark chocolate, vanilla, and subtle nuances of spice; supple tannins; and a long, gracious finish. www.highway12winery.com. In the award-winning dark comedy directed by Alejandro Gonzalez Inarritu, Michael Keaton plays Riggan Thomson, a fading actor who is trying to reinvigorate his career by directing, acting and co-producing an interpretive Broadway theater performance of Raymond Carver’s What We Talk About When We Talk About Love. To fill the supporting male role, he hires rising star actor Mike Shiner (Ed Norton), who brings his own emotional baggage to the set. On the side, Riggan also has to deal with his daughter (Emma Stone), who recently returned home from rehab. For help, he relies on the voice of wisdom from Birdman, the iconic superhero he played on screen before his midlife crisis began. SawyerSomm Pairing: In addition to the raw talents of Keaton, Norton and Stone, the all-star cast of Birdman includes naturally gifted performers Zach Galifianakis and Naomi Watts, adding extra layers of spice and nuance to the plot. To match these dynamic characters, try the Chateau St. Jean 2011 Cinq Cepage, Sonoma County ($80), a dazzling Bordeaux-style blend of Cabernet Sauvignon, Merlot, Malbec, Petite Verdot, and Cabernet Franc. The latest release feature rich flavors of wild berries, plum, blueberry, cassis, fresh violets, dried herbs, clove, mocha and roasted walnuts. To maximize the experience, decant the wine an hour before starting the DVD. Then pour it for your guests, press play, and enjoy how the wine and the characters develop more personality as the movie proceeds. www.ChateauStJean.com. Catch this great article in the March edition of The Tasting Panel by my friend Randy Caparoso about The Zinfandel Experience 2015. 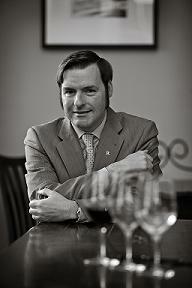 In it he poses the question Is Zinfandel on a new paradigm shift, more appealing to sommeliers? See what other sommeliers, wine makers and I had to say after doing the Sommelier & Terroir Workshops at the Golden Gate Club, sponsored by The Somm Journal. VinOlivo Weekend coming March 13-15! Join me at the 10th Annual VinOlivo, when more than 60 wineries and 20 top restaurateurs come together in a weekend long affair. The event includes a Williams-Sonoma* and AUTEUR Wines Winemaker Dinner, the signature Sonoma Valley Grand Tasting event and “Ticket to Sonoma Valley”, which grants special access to over 40 Sonoma Valley wineries. Pass holders receive special offers, ranging from complimentary tastings and discounted wine pricing, to barrel tastings and winery tours. If you cannot attend then at least check out the Online Auction which continues until March 17th! *To read more about the newly returned Williams-Sonoma store to it’s original location on Broadway read my article in Napa Sonoma Magazine. I am judging at a super fun event this Wednesday March 4th, at Sebastiani Vineyards. 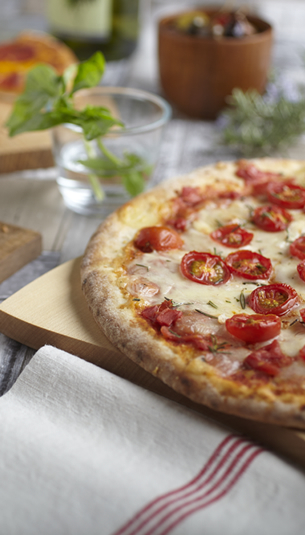 Pizza-My-Way is a pizza recipe contest open to the general public so join in the festivities and enjoy some innovative dishes. There is no cost to attend, however seating is limited so send an RSVP to Lorena if you plan to be there.